HK USP45, USP45 Tactical magazine extension +5 adds five additional rounds to the full size HK USP45 & USP45 Tactical 12 round magazine. Super easy to install, simply add the mag extension to your existing mag body and follower. An easy 2 min swap. No gunsmithing needed. Made 100% in the USA out of aircraft grade hard coat anodized aluminum & steel hardware. Ultra low profile, & rock solid. This offering is simply the finest +5 mag extension for your HK USP .45 firearm available. With the addition of the +5 mag extension the round count in the magazine will increase from a 12 round magazine to a full 17 rounds of .45 in your HK USP45 magazine. Ideal for competitive shooters, concealed carry or for everyday use while at the range. 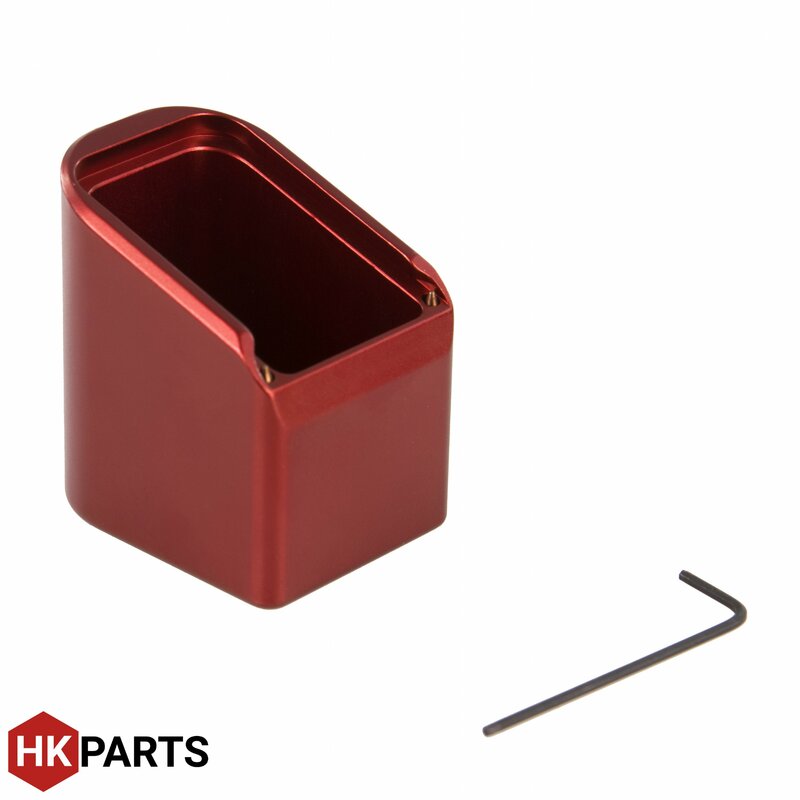 Each unit comes in hard coat anodized in HK red.